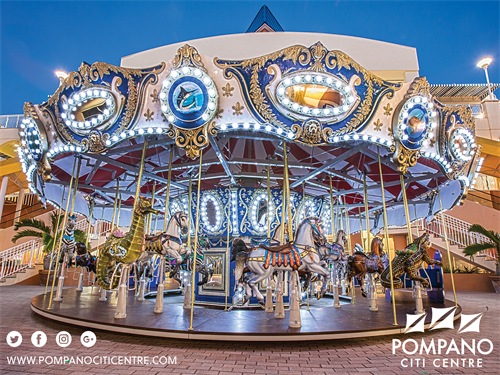 Pompano Citi Centre is More Than Just a Mall. Pompano Citi Centre is THE premier shopping, dining, entertainment, and fitness destination (and workplace) in Pompano Beach, FL. Pompano Citi Centre is located just a few miles east of Interstate 95 at the corner of Federal Highway (US 1) and Copans Road. 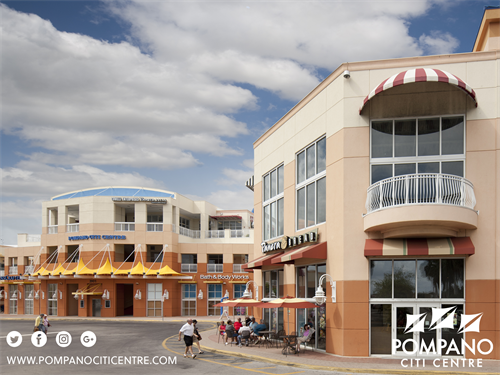 Pompano Citi Centre features department stores, boutiques and restaurants, as well as law, medical and other offices in a beautiful outdoor setting. 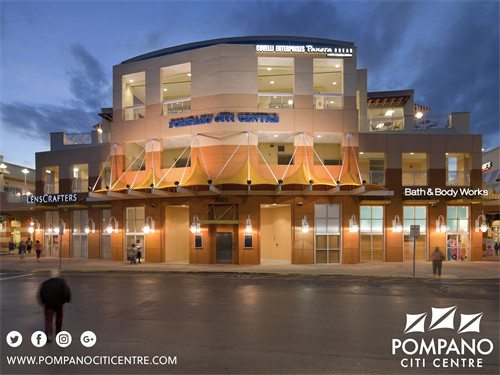 Pompano Citi Centre was originally developed in 1970, and is still known to many locals as Pompano Fashion Square Mall. It was recently renovated into an outdoor lifestyle center, and includes national department stores Macy’s, Sears, JC Penney, and Ross Dress for Less; specialty retailers Lowe’s Home Improvement, Big Lots, Hallmark Reflections, Pier 1 Imports, Bath & Body Works, Claire’s and GameStop; and clothing and shoe stores edgeLook, Foot Locker, and Rack Room Shoes. If you looking for breakfast, lunch or dinner options, choose between fast casual dining choices such as Panera Bread or Subway or a sit-down meal with service at JMark’s Restaurant, Shishka Lebanese Grill, or Chili’s. In the mood for dessert? There’s always room for ice cream from Cold Stone Creamery, which is open late. Don't forget to bring the kids to Chuck E. Cheese’s! Check out what’s happening at Pompano Citi Centre this month by visiting our Sales & Events page. Remember to stop by our courtyard with the kids for a ride on our custom-made Carousel. Located in the corner of Federal Highway (US 1) and Copans Road.